When I was growing up, there weren’t nearly as many television shows to choose from as there are today. We only had two channels, and most of the time there wasn’t anything on that I cared much about. Television has changed a lot since I was a little kid; I now have about 100 television channels to choose from along with nearly 10 movie channels. In spite of all the choices, I still have a hard time finding something I want to watch. When I was a child, my father was an avid viewer of The Lawrence Welk Show, and I vividly recall his excitement when the bubble machine started at the beginning of the show and Bobby came on stage to dance. Regardless of what program was on the other channel during The Lawrence Welk Show, if we wanted to watch TV while it was on then that’s what we were watching. On the other hand, I had free reign over the television set on Saturday mornings. I’d start the morning with black and white cartoons that were amateurish by today’s standards, with the anticipation of watching The Three Stooges afterwards. Aside from The Three Stooges, there really wasn’t much violence on TV back then – or at least not like what we see today. I thought the Stooges were hysterical, and I spent many Saturdays watching them all day long. Even after seeing virtually every episode many times over, they never ceased to amuse me. It was a sad day when I heard that Curly-Joe DeRita had died in 1993. President Bush expressed his belief this past Friday that Congress would soon reach an agreement on the financial plan bill. He commented that, “the legislative process is sometimes not very pretty.” It goes without saying that President Bush has proven himself to be the master of understatement. On Thursday evening, I watched just about every news show update on the proposed financial plan bill. During the commercial breaks, I would flip to the Asian stock market reports, and I was amazed to see how stupid statements made by our U.S. legislators affected trading on the Asian market. There was a significant sell-off in Japan, Hong Kong, Korea, and the rest of Asia, which makes me wonder whether our lawmakers know how the state of the United States economy affects the global economy. One exclamation of stupidity after another was being broadcast for the entire world to hear, and quite frankly, I was embarrassed for our country after this display. The comical contradictions being made by the various members of Congress were almost overwhelming. If they hadn’t been so entirely serious when making these statements, it would’ve been gag material for a television sitcom. In fact, the principal players could’ve easily been substituted by the Three Stooges. Knowing what I do about economics, finance and the problems of the equity markets, the comments grew increasingly outrageous to me. One could easily substitute Senator Chris Dodd (D-Connecticut), Representative Barney Frank (D-Massachusetts), and Senator Richard Shelby (R-Alabama) for Larry, Moe and Curly-Joe. What, you may ask, was so comical about the contradictions being made by these legislators? While Senator Dodd and Representative Frank continued to express their desire to protect the U.S. taxpayer, both of them have been staunch supporters of Fannie Mae and Freddie Mac for decades. In fact, both received substantial political contributions from these quasi-governmental agencies. In addition, they stocked those agencies with political appointees that did nothing but perpetuate the problem that we are facing today. The taxpayers will pay dearly for that support. As early as 1995, there was a substantial move by the Clinton Administration to roll-back these governmental agencies, but that move was blocked by Senator Dodd (D) and Representative Frank (D). In fact, I watched clips this weekend of both of them giving speeches of the attributes of these agencies and how they shouldn’t be reduced. I watched footage of former Federal Reserve Chairmen Paul Volcker and Alan Greenspan both testifying before Congress that these agencies were a growing time bomb, but Dodd and Frank blocked any attempt for legislative oversight of these groups. In 2004, President Bush also sponsored legislation to roll-back Freddie Mac and Fannie Mae and reduce the amount of mortgages they were buying. Senator Dodd and Representative Frank once again bottled up the legislation and it never got out of their respective committees for a vote. So, as I watched the ongoing debates concerning the proposed financial plan, I found it hard to not wonder how these politicians could actually live with themselves given they were blaming everyone but themselves for the predicament our country is facing. Even more bewildering were the comments made by Senator Richard Shelby (R-Alabama). He stated that there was basically no problem and that the free enterprise system would take care of itself. He felt that no legislation was needed and that no regulation was required. I sat in amazement as Washington Mutual closed on Thursday night and Senator Shelby continued with his same speech. How is it that the largest bank failure ever in the history of the United States had just occurred, yet Senator Shelby saw no problem and felt that no legislative oversight was necessary? Sometimes I find myself wondering what world the people who work inside the beltline come from!! The financial plan presented to Congress by Treasury Secretary Henry Paulson and Federal Reserve Chairman Ben Bernanke was a total of three pages, but the bill now being negotiated has grown to over 150 pages. I rather suspect that the final draft will be significantly longer. These two brilliant scholars of finance were treated like nitwits during the Congressional hearings, despite the fact that those doing the criticizing didn’t even seem to have a working knowledge of the proposal. The television networks questioned Warren Buffett, the second richest man in the world, and Bill Gross, the brilliant chairman of the PIMCO bond trading company, about the proposed financial plan. Both men expressed their opinion that the proposed bill, while not perfect, would be an immediate and helpful solution to the credit market crisis. Both almost assured that the bill would not cost taxpayers money and, more likely than not, would make a profit. However, flipping back to the sound bites being made by the legislators, I heard at least a hundred times that the plan would cost the taxpayers $700 billion. It’s amazing that politicians can get so much airtime on national television when they are so completely wrong on a subject! After I heard Senator Shelby preach that this was strictly a Wall Street problem and that governmental intervention was unnecessary, I became angrier than ever. I was reminded of a story relayed by a former Federal Reserve Governor regarding his grandfather, a hardworking, immigrant merchant with his own store. When the stock market crashed in 1929, he recalled his grandfather basically saying that, “the Wall Street guys finally got what they deserved” and was seemingly thrilled that the crash had taken place. Within a year of the stock market crash of 1929, his grandfather’s business was gone. Due to the wave that crossed America, credit was withheld from businesses that desperately needed it. He couldn’t get credit lines to run his business and was eventually forced to close down. Unemployment in the United States skyrocketed to the point where one out of every four workers in the United States was jobless. If anyone tries to tell you again that this is only a Wall Street problem, then that person obviously doesn’t realize the magnitude of the issues. It may have started as a Wall Street problem, but it certainly has the potential to transition into a Main Street disaster without governmental intervention. The front page of Saturday’s New York Times featured an extraordinary statement by Christopher Cox, the Chairman of the Securities and Exchange Commission. He conceded that oversight flaws probably fueled the collapse. The regulations governing Wall Street “were fundamentally flawed from the beginning.” Duh! Do you think so?!?!? The perfect financial storm hit Wall Street all at the same time. Yes, you can try to point fingers, but there aren’t enough fingers to point when it comes to this issue. It’s too late to review the cause; it’s time to find the solution!! My posts very rarely contain technical information for the same reason that two-page memos are unpopular – no one today seems willing to read two pages on just about any subject. However, in this particular case, I think it’s important for the public to know the facts. I have written before about “unbridled capitalism.” While I’m definitely an advocate of the goals of capitalism, it’s important for everyone to realize that even capitalism must be subject to some form of law and order. On the options exchange, there are traded options called “credit-default swaps.” This is a technical term for a market that is essentially a form of insurance. For example, if a company owes you money, you can purchase a credit-default option that will guarantee that you will get your money back if the company defaults on its debts. While this isn’t a requirement, buying a little insurance when you’re owed a lot of money never hurts. It has come to light recently, however, that these credit-default swaps have become the vehicle of choice for speculators who think a company will fail. By bidding up the price of the credit-default swaps, it makes it expensive for a company to borrow money since the obligor cannot afford the credit swaps. It also tends to scare other investors; the public perceives the borrower to be in financial distress due to the credit-default swaps spiraling higher and higher. This is exactly what happened with Bear Stearns and Lehman Brothers right before both of those firms failed. Their stock prices had become so low and the cost of the credit-default swap so high that even though neither firm was in financial difficulty at the time, the public perceived them to be in big trouble. Customers began withdrawing assets at an accelerated rate to the point where these companies had no choice but to shut down. They weren’t broke by any stretch of the imagination, but since the public had no confidence in them they lost all of their depositors. Additionally, due to the enormous demand for credit-default swaps covering debt that doesn’t exist, the prices have been pushed up exponentially. Most people would realize that there’s no need to purchase insurance on something you don’t own. For example, I would never be allowed to purchase life insurance on the life of my neighbor because, in insurance vernacular, I do not have an insurable interest in the death of my neighbor. The basic reason for this law is that it is unethical to purchase insurance on a person you don’t have an insurable interest in with the speculation of your neighbor’s subsequent death. This is the exact same scenario that these credit-default swaps accomplish. By virtue of purchasing a credit-default swap on a company, you are betting that it will fail even though you have no insurable interest in that company. If you’re right, then you’ll make a profit. On Tuesday of last week, the S.E.C. launched a massive undertaking to control credit-default swaps, and it’s my opinion that these swaps above one-to-one should never be allowed. During the run-up of the oil bubble earlier this year, I made the same statement regarding oil futures. There are now more oil futures being traded than there is oil being produced. Speculators have bid-up the price of oil beyond any realistic possibility of that oil being delivered. Once again, anyone who argues that speculation is not an important component of the pricing of oil just doesn’t understand how financial markets work. I know many people think that I’m a skeptic, but you may be interested in knowing that the original bill presented to Congress – the one before the bill that failed on Monday – already contained such provisions. Even though members of Congress repeatedly reported that the bill would cost taxpayers $700 billion, they knew this was an inflated figure. In fact, a pork barrel funding of the profits was subsequently written into the bill. As Congressman Frank and Senator Dodd continued to say on national television that they were attempting to protect the taxpayers in this matter, they must’ve had an overwhelmingly guilty conscience. Not only did they know that the $700 billion figure wasn’t accurate, but they were fully anticipating that the fund would generate a profit. ACORN has been implicated in voter fraud and bogus registration schemes in Missouri, Ohio and at least 12 other states. It uses governmental money to sign up people to vote for liberal Democrats who will then work through Congress to give them more money. Isn’t it amazing that these politicians were arguing that the fund would lose money when they knew that it wouldn’t?!?! They had even devised a way to split up the profits and give them to groups that would campaign for their benefit! But, I guess all of this is a moot point considering Congress failed to pass any bill on Monday. Growing up, my father was an ardent home movie maker. We had an old 16 millimeter silent home movie reel to watch the films he would make of our family and on rare occasions, he would buy 16 millimeter cartoons for us to watch. 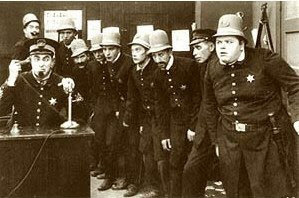 I cannot help but be reminded of the Keystone Cops films when I think of what is going on today. If you’re not familiar with this series, they were a hysterical group of incompetent policemen, dating back to the silent film era. They never made it to the talkie era, but I still vividly remember those films. Watching the events surrounding the financial plan develop this past week, I couldn’t help but compare our fumbling Congress to the Keystone Cops. When I started contributing to the Rollins Financial blog, I vowed that I wouldn’t finish a post on a negative note. There will be an adequate bill approved sometime soon. We have brilliant people heading up this effort to recapitalize the banks. The financial markets around the world have suffered enormously due to the credit restrictions. If the problem isn’t dealt with swiftly, Main Street will also suffer. There will clearly be a recession, and possibly a depression, if people cannot obtain mortgages, car loans or student loans. When the bill is approved, credit will loosen up, making loans available to the public once again. When all of this is accomplished, perhaps we will finally get back to investing money. Stock fundamentals have been thrown out the window in recent weeks. It doesn’t make any difference whether or not a company is making money or what their future prospects are – they’re being slapped around and their values are being diminished like all others. It’s difficult to anticipate the moves in the market when basic economic fundamentals no longer apply. Once this bill is in place and the credit markets adjust, then traditional investing will return. I’m hopeful that this will happen in a matter of months and not years. The U.S. economy, while slowing, has certainly not stalled completely. Corporate profits continue to be exceptional and international business is even better. The stock market today is trading at extraordinarily low levels and almost assuredly will go higher. There’s no question that if the bill is not approved, the markets will go lower. I wrote most of this blog before Congress’ failure on Monday to pass the financial plan bill. As I’m sure you’re all aware by now, the Dow Jones Industrial Average fell a staggering 777 points on Monday. This is the worst-ever point decline ever recorded for this index. Many of the Republicans that voted against the bill got their two minutes of fame by expressing their reasons for voting “nay” on the bill. Many of them pointed to the speech given earlier by Speaker of the House Nancy Pelosi. Could it be that certain members of Congress believe the financial concerns of the country (and indirectly, the rest of the world) are less important than what Speaker Pelosi said in her speech?!?! It seems childish to vote “nay” because your feelings got hurt – especially when you hold the power to create financial chaos in your hands! I look forward to better times, when I have better news to report. My hope is that those days are just around the corner. Thanks to more than three days of negotiations that were sometimes strained, Speaker of the House Nancy Pelosi announced Sunday afternoon that the bill was all but complete. The Emergency Economic Stabilization Act of 2008, backed in principal by President George W. Bush and the two presidential candidates, features taxpayer guarantees and caps on executive compensation. The House is expected to vote on the bill on Monday (appropriation bills must start in the house) with the Senate voting on Wednesday (Tuesday is the start of the Jewish holiday Rosh Hashana). The act directs the U.S. Treasury to establish a troubled asset relief program (TARP) to purchase and make fund commitments to purchase troubled assets from any financial institution. The initial funding to start the plan is $250 billion with the Treasury then being able to ask Congress for another $100 billion. The final $350 billion would be available upon an action by Congress. In a landmark move, the legislation calls for a provision to recover any bonuses or incentive compensation paid to any senior executive based on the statements of earnings that are later proven inaccurate. "It will be the first time in American history that there will be legislative restrictions on CEO compensation," said Barney Frank, D-Mass., chairman of the House Financial Services Committee. The bill also requires that the president propose legislation to recoup losses from the financial services industry if the rescue plan leads to net losses for taxpayers five years after the plan is put in place. The deal comes 10 days after Treasury Secretary Henry Paulson and Federal Reserve Chairman Ben Bernanke announced the plan to ease the nation’s financial crisis. "I am confident Congress will do what is best for our economy by approving this legislation promptly," President Bush said in a statement today in Washington. Well after midnight on Saturday night/Sunday morning, Congressional leaders and the Bush administration reached a tentative deal on a landmark rescue package of the imperiled financial markets. House Speaker Nancy Pelosi announced the $700 billion accord just after midnight Saturday but said it still has to be put on paper. "We worked out everything," said Sen. Judd Gregg, R-N.H., the chief Senate Republican in the talks. He said the House should be able to vote on it Sunday, and the Senate could take it up Monday. At the insistence of House Republicans (the item holding the package up on Friday), some money would be devoted to a program that would encourage holders of distressed mortgage-backed securities to keep them and buy government insurance to cover defaults. The legislation would place limits on severance packages for executives of companies that benefit from the rescue plan, but details were sketchy. To help struggling homeowners, the plan requires the government to try renegotiating the bad mortgages it acquires with the aim of lowering borrowers' monthly payments so they can keep their homes. Wachovia Looking for a Partner? It was widely reported that Wachovia (WB), the sixth-largest U.S. bank by assets, has begun discussing a merger with several other bank companies. The New York Times said on Friday that Wachovia has been in preliminary talks with Citigroup (C). The Wall Street Journal said Wachovia has entered preliminary merger talks with Citigroup, Banco Santander SA (SAN) and Wells Fargo & Co (WFC), citing a person familiar with the situation. Bank executives are expected to be in New York this weekend for talks, it said. The market value of Wachovia was about $21.6 billion as of Friday's market close, Reuters data showed. Citigroup's was $109.7 billion, Santander's was $99.8 billion and Wells Fargo's was $123.4 billion. Earlier this month, Wachovia began merger talks with Morgan Stanley following the bankruptcy of Lehman Brothers Holdings, but people familiar with the matter said earlier this week that those talks had ended. On Friday, Wachovia came under pressure as investors worried about the fate of a $700 billion government rescue of the financial sector (You can read Joe's post This is NOT a Bailout!!). For Citigroup, combining the two companies would create by far the largest U.S. retail brokerage, with close to 30,000 brokers before attrition. Citigroup would also get the major U.S. retail banking presence it has long lacked, and make it a strong rival to Bank of America, JPMorgan and Wells Fargo. Citigroup has also raised well over $40 billion of capital in late 2007 and early 2008, leaving Chief Executive Vikram Pandit perhaps better positioned for acquisitions than rivals that failed to raise enough and could not do so now. Any Wachovia merger talks would come amid uncertainty of the fate of the proposal by Treasury Secretary Henry Paulson. Wachovia would be a prime candidate for help, depending on the types and amounts of securities the government would accept. My last several posts have been critical of Congress’s inability to get the issue of offshore oil drilling to a vote. I’ve opined that the reason Democrats were unwilling to vote on the subject was because they didn’t want to want to take a position that would contradict the wishes of Barack Obama’s financial benefactors. My opinion has proven to have been correct, as nothing has actually happened since they’ve been back in session. In fact, Congress intends to adjourn within the next few days and will not be back in session until after the Presidential election. As I predicted, the Democrats in Congress actually proposed a new bill that would allow oil drilling 50 miles off the U.S. coast, but with provisions that would essentially make the bill ineffective. Even if the bill were passed, the oil companies wouldn’t have exercised their right to drill since it would be financially imprudent. However, something unusual happened on Tuesday that warrants your attention: The Democrats have completely dropped the 26-year oil drilling moratorium! I can only surmise that it was fairly clear to the Democrats in Congress that they wouldn’t win any Republican votes on the subject of oil drilling. Furthermore, they certainly weren’t willing to have Obama vote on the subject only six short weeks before the election and alienate his backers. To avoid the embarrassment of a defeated bill, or even worse, to put Obama in the predicament of having to vote on the proposed legislation, the Democrats allowed the oil drilling ban to expire! Since Congress wouldn’t vote on extending the oil drilling ban off the U.S. coast, it was allowed to expire in the passage of the new budget under a continuing funding legislation. I suppose this is more than we could ever have expected to receive. In effect, Congress allowed a blank check to drill for oil off the coasts of nearly the entire United States with no restrictions. It’s absolutely stunning to me that the United States Congress would open the floodgates to oil drilling simply so they wouldn’t have to vote on a potentially detrimental subject to their Presidential candidate. I’m sure Congressional Democrats will revisit this subject after the Presidential election and expect to have a mandate from the White House to defeat it. However, it appears that the states are quickly rallying to benefit from this oil drilling legislation. Virginia is already campaigning for oil drilling rights since they’d be sharing revenue with the Federal government on the subject. In an absolutely hysterical turn of events, even Santa Barbara County in California – where the infamous Union Oil spill of 1969 occurred which started the offshore drilling bans in the United States – is getting in on the action. Last month, their board of supervisors voted to support drilling. It’s also somewhat surprising that Governor Arnold Schwarzenegger adamantly opposes offshore oil production. In spite of that, current polls reflect that the majority of Californians now support oil drilling off of California’s coastline. With California running a deficit approaching $100 billion, it seems that California citizens realize that the revenue sharing possibilities from offshore drilling could greatly help their budget deficit. Congress allowing the oil drilling ban to expire will enhance offshore drilling in the United States, and I truly believe it will be difficult for Congress to reverse this blank check on offshore oil drilling. With most Americans supporting offshore oil drilling, it will be difficult – even for a new President – to sponsor legislation that is vastly out of sync with what most Americans want. If you’re looking for a positive regarding an end to our reliance on oil from the Middle East, this is it. Additionally, it’s definitely a positive for our economy, for the revenue to our states, and more importantly, for our National security. On another matter, it appears now that Congress will approve the emergency fund for purchasing the toxic bonds sometime this weekend. After my last blog, I received a lot of questions and comments regarding the proposed financial plan, and it’s apparent to me that there’s a significant misunderstanding regarding who this legislation benefits. Wednesday night, I heard Neal Boortz’s long dissertation on CNN concerning the financial plan, and while I generally like Neal’s creative thinking, I vehemently disagree with him on this matter. My disagreement with him on this issue isn’t philosophical or political in nature; rather, I feel he doesn’t understand what’s going on with this plan. Since I see Neal playing golf at my course on my weekly golf round, maybe I’ll pull him aside the next time and explain it to him. First and foremost, $700 billion will not be spent like a normal budgetary expenditure. If you spend $700 billion for government employees, that money is gone, which immediately creates a deficit and can never be returned. However, this $700 billion will be used to buy assets, and therefore, it will not be “gone”, and it will be returned. A better way to think of this transaction is to compare it to the carrying costs for bonds. If the U.S. government were to issue new 10-year bonds tomorrow to pay for this program, it would cost them approximately 3.8% in annual interest for 10 years. Therefore, it would cost the government approximately $27 billion in annual interest expenses to completely fund this program from beginning to end for a 10-year period. While $27 billion dollars is a whole lot of money to you and me, it’s peanuts (and a rounding error) to the annual Federal budget. The media’s characterization of this program as a $700 billion expenditure has vastly misled the public into believing an inflated cost for this financial plan. If the government invests $700 billion dollars in securities and then resells them at a zero net profit, then the cost to our Federal budget is miniscule compared to the realized benefits. Neal Boortz is a Libertarian – a member of the party whose platform favors less government. Who could argue with that philosophy?!?! Apparently 50% of those running for President, but I digress…. Boortz argues that government should never get involved in private industry, and as such, the endangered businesses should be allowed to fail instead of the government intervening and assisting them. In the last few days, I’ve also heard hundreds of people question why the average taxpayer should bear the responsibility of bailing out the greedy Wall Streeters. I think those comments illustrate how totally misunderstood this whole financial plan is. The entities we are assisting in this matter have nothing whatsoever to do with the Wall Street brokerage firms. We would be assisting Bank of America, Wachovia, Washington Mutual and the like. The individual brokers who completed these transactions and subsequently received millions in commissions are long gone. The public doesn’t seem to be grasping the fact that Wall Street no longer exists; brokers as we knew them ceased to exist on Sunday, September 21st when the last two converted to National banks. There’s another completely wrong misconception that is being expressed by the public lately. I have heard over and over again – even from some of the candidates running for office – that none of this would’ve happened if there had been more governmental supervision of the banking industry. As has been documented ad nauseam over the last two weeks, this problem was created by the government, and happened under the close supervision of governmental agencies. In the mid-1990’s, when the Clinton Administration decided that there was strong economic and humanitarian reasons for everyone to own real estate, the die was cast for abuse. There were many governmental agencies and quasi-governmental bodies overseeing this program. I’m not saying that the private sector would’ve done it better, but for anyone to argue that the problem was caused by a lack of governmental regulations once again illustrates a poor understanding of the facts in this complex matter. At this point, this issue totally has to do with Main Street and has nothing to do with Wall Street. If we do not assist the banks in freeing-up these bonds, it will cost the United States an enormous amount of jobs. Banks loan money to companies that employ people. Without liquidity, these banks will be unable to loan money to companies. When companies cannot get bank loans, they can’t exist. Even the people who are expressing their extraordinary dislike for this proposed plan can’t seriously want our banking system to cease to exist. The economic ramifications of a major U.S. bank failing would have negative repercussions for decades to come. Rep. Kanjorski - "Votes are there"; Gross's "How Main Street Will Profit" - Another Take on the "Bailout"
This morning, Representative Ken Kanjorski told CNBC that tremendous progress has been made and the "votes are there" for passage of the bill. He continued stating that the value of the bill must be large enough to show we are serious, and if they need more, they just need to call. According to Kanjorski, the package should be resolved prior to Monday's market open. On the news, the futures that were already pointing slightly higher, strengthened on the news. This afternoon at 4:00 p.m. at The White House, President Bush is meeting with both presidential candidates, McCain and Obama, and Congressional leaders to hammer out details on the bill. On Wednesday, we wanted our post to accurately describe the "bailout" that has been proposed by Treasury Secretary Paulson and backed by Fed Chairman Bernanke. We are obviously not the only ones trying to explain the "bailout" to everyone. This is NOT a Bailout!! I’m absolutely stunned at Congress’ naïveté concerning the proposed financial plan that they’re currently negotiating. I know I’ve expressed my frustrations with Congress before, but this current situation is really over the top! It just goes to show that basic intellect must not be a prerequisite for being elected to our country’s Congress. There’s absolutely nothing about this proposed plan to indicate that it is a bailout. Essentially, it just frees-up the liquidity in the United States banking system so the banks can begin loaning money again. Why the media is defining this as a “bailout” belies even the most basic of common sense. Since there doesn’t seem to be a good understanding of what is going to take place under the proposed plan, I thought I’d bore you with the details. Basically, the government will create a pool of money to purchase – in reverse-auction method – these troubled assets and securities. In $50 billion increments, the government will put out a request to financial institutions around the world that would like to sell their particular securities to the U.S. government. Instead of a being a typical auction where the highest bidder wins, in reverse-auction cases (Dutch auction), the lowest “bidder” wins. The institution quoting the lowest acceptable amount will receive cash from the government in return for their securities. You may rest assured that each and every seller of these securities will lose money based on the price for which they were initially purchased. Therefore, if this plan were a true bailout, then the price would at least equal the amount for which they originally purchased the security. However, under this method every seller of these securities will be guaranteed to lose money. After the assets are purchased by the government, the government will immediately attempt to resell them in the open market. There are a stunning amount of purchasers out there that have already expressed an interest in purchasing these securities from the government. In fact, private equity pension funds and solvent wealth funds around the world have lined up to purchase them. There is no question that the government will have no trouble selling these securities. In fact, every knowledgeable commentator on the subject indicates that the government will probably be able to make a small profit on the sold securities. For that reason, to characterize this plan as a $700 billion hit to the Treasury is not only inaccurate, but it also reflects a complete misunderstanding of the facts. In a time where understanding the ramifications of our financial circumstances is paramount, I’m beginning to question whether this lack of understanding is due to a deficiency of intelligence or if it’s a signification of malice. As the government buys securities from the institutions, they’ll turn around and resell them in the open market, which will subsequently allow them to purchase more securities to resell. The $700 billion discussed is a minimum amount, not a maximum amount. It’s entirely possible that there could be trillions of dollars in assets purchased under this plan that are then resold in the open market, and there’s absolutely nothing negative about this transaction (even if Congress and the unknowledgeable media seem to be characterizing it as a bad deal and a bail-out of the greedy Wall Streeters). The good thing from an investment standpoint is that, even though the financial institutions will lose money on the transactions, it’s actually still a positive scenario for them. First, as I have written extensively on this blog, the banks have already written down these securities to a level much lower than they’ll ultimately sell them to the government. From the standpoint of a business transaction, if the government purchases them for more than they are now recorded in their books, then the banks will almost assuredly make a profit in spite of losing a significant amount of money from the amount they were first purchased at due to the write-downs. Additionally, the cash that will be infused into the banking system will allow the banks to once again start to make loans and free-up their available capital that our banking system needs. This would be an extraordinarily positive move and is an absolute stroke of genius by the architects of the plan, Treasury Secretary Henry Paulson and Federal Reserve Chairman Ben Bernanke. Some have commented that this plan will benefit Wall Street, which I find quite baffling. First and foremost, what exactly is “Wall Street” today? There aren’t anymore brokerage companies – the last true brokerage houses, Goldman Sachs and Morgan Stanley, have now converted to National bank status, and as such, they’ll be under the same scrutiny and supervision that local banks must endure. Simply put, there’s no longer a “Wall Street”– they’re all just National banks subject to the same rules, regulations and significant financial supervision. Most of the banks that will sell these securities are in North Carolina, not New York. Something else that bothers me is that some people seem to be saying that the securities most in question are worthless, which simply isn’t true. If you recall the final years of the Clinton Administration, you might better understand the magnitude of the problem. It was the Clinton Administration and Congress at that time that wanted to make homeownership available to everyone. They allowed and mandated that Freddie Mac and Fannie Mae make mortgages available to virtually every American, regardless of their financial circumstances. You may question the wisdom of that action now given the current circumstances, but no one should question that the concept had great merit. By virtue of this program to our credit, literally thousands of Americans were able to gain homeownership at a very low entry cost and the availability of loans created industry in this country that was a boon to all Americans. By far, the vast majority of these mortgages are still in existence and are still being serviced. While there’s definitely a fringe component of mortgagees who have defaulted on their loans, it’s a relatively small percentage of the loans that were extended. The real problem concerns Congress’ mandating that the quasi-governmental agencies, Fannie Mae and Freddie Mac, were to go out into the public arena and purchase mortgages from banks. Accordingly, the banks would make the loans to the public and turn around and sell them to Fannie Mae and Freddie Mac for a fee. Rather than hold the loans as they’d done in prior years, these governmental agencies would group them together and sell them as a collateralized mortgage security back into the public market. By doing so, the governmental agencies were able to free-up cash so they could buy more loans and create more bonds. The cycle caused no entity to be responsible for the mortgage; the banks would sell loans to the governmental agencies and then the governmental agencies would package the loans and resell them to the public. None of these transactions were done maliciously, but in many cases there were abuses. Some banks – knowing that they wouldn’t have to service the loans – reduced their credit standards and made loans they never should’ve made. Due to governmental intervention, the governmental agencies purchased loans they shouldn’t have purchased and then turned around and sold them in the open market. While the intent was positive, the execution created excesses and abuses. We need to take a good look at what’s really going on – these collateralized mortgage obligations are not all bad. The foreclosure rate in America today is less than 7% of outstanding mortgages. While this percentage is high in historical terms, it’s still not a ridiculous percentage. Assuming that the mortgages represented by collateralized debt suffer a 7% foreclosure rate, then this reduces the face value of these securities. However, the houses still need to be recovered and resold, so none of the loans will be a complete loss. Let’s assume that the gross face amount of these loans is potentially unrecoverable at the rate of 20%, then there’s a great deal of incentive for a potential buyer to want them. If the average rate on these mortgages is 6.5% and a potential buyer pays 80% of the face amount, then the average yield to maturity is 8.125% (assuming that they don’t even collect one dime of the 20% of the gross amount). Obviously, if they collect significantly more, then the yield increases exponentially. Now do you understand why potential buyers are lining up to purchase these securities? With a 10-year Treasury today paying 3.6% and these securities paying potentially 8% or more, many buyers are willing to take the collection risks. Even more interesting is that many of these banks have now written down the securities by 50%. They have the potential for selling them at 75%, even though they’re recorded on the books at 50%. This looks like a clear win-win for the banks, the government, the homeowners and the investors. Bailout? No way! And anyone who tells you otherwise is showing their ineptitude on the subject. On an unrelated matter, on Tuesday morning I noted the new electric cars being rolled out by Chrysler. They indicated that in late 2009, they’ll offer a mass-produced, fully electric automobile. The high price of gasoline is finally having its impact on the automobile industry. Based on my limited research, it appears that there will be 10 different models of electric cars in the marketplace by 2010. What is stunning is that in only 18 months, there’s potentially a partial solution to the problems concerning fossil fuels. Once again, our Congress has done nothing whatsoever to resolve the oil drilling issue. Notwithstanding the positive effect that hybrid automobiles will have on the energy crisis, we still need to drill for oil. Cars running on electricity and natural gas will be readily available in a few years, but we’ll still need fossil fuels for at least the next 10 years. While Congress continues arguing about minutia, the U.S. continues to suffer from a lack of a complete energy package. Our Congress has wasted billions of dollars on the unworkable ethanol program. We make ethanol in this country not for reducing oil consumption but to help the corn farmers in the Midwest. It’s hard to believe that we have such an incredibly misguided energy policy! The key to less energy reliance on the Middle East is cars that are powered by electricity and natural gas, both of which could be readily available to consumers relatively soon. If the government would pass an energy income tax credit to neutralize the cost of electric and natural gas cars to standard fossil fuel cars, the public would immediately buy them. It’s been proven that the public is unwilling to pay a premium for hybrid automobiles, but with the government’s help, they’ll be more willing to purchase them. Much has been said about Congress reducing the Federal tax credits to the oil industry. You may rest assured that the oil industry isn’t concerned with $18 billion in Federal tax credits over the next decade. I’m sure they’d readily give up those credits for reasonable offshore drilling rights. With the combination of more drilling and a Federal tax credit to neutralize the cost of hybrid automobiles, the solution to our energy problems will be in place. Unfortunately, Congress cannot even seem to agree on where to go for lunch, and like Nero, only seems to be fiddling while Rome burns. On Monday, the Bush administration and U.S. lawmakers moved closer to an agreement on a massive plan to prop up financial markets as stocks slid and the chiefs of the Treasury and Federal Reserve prepared to defend the plan on Capitol Hill. "We seem to be making progress," said House Financial Services Committee Chairman Barney Frank. "There is a lot more agreement today." While the key lawmaker said the Bush administration and Democrats have agreed to additions to the plan, including creating an independent oversight board and aid for homeowners facing foreclosure, there is uncertainty over a proposal to allow the government to take an equity position in companies that participate in the U.S. program. Frank said that the Treasury had agreed but reports later Monday afternoon said Treasury had not. On Tuesday morning, the action will move back to Capitol Hill, with scheduled appearances by Treasury Secretary Henry Paulson and Fed Chairman Ben Bernanke. They are set to testify before the Senate Banking Committee at 9:30 a.m. EDT, along with Securities and Exchange Commission Chairman Christopher Cox. The drop in U.S. stocks on Monday, which erased all the gains from Friday, highlighted nervousness among investors that bickering over details could derail the bill and leave the markets exposed to a potentially devastating systemic meltdown. The goal is for a bill to be passed by the end of the week, when Congress is scheduled to adjourn. Some investors appear to be fretting that government's getting shares of financial companies would further dilute already battered shareholders. A sticking point seems to be that the Democrats would like for the government to have an equity position in both the selling firm and buying firm. Analysts are worried that this move will have some private equity, hedge funds, and other corporations unwilling to bid on the securities. Frank said House Republicans were more opposed to a revision of bankruptcy law to help struggling homeowners than curbing executive compensation -- two other provisions Democrats are trying to push through as Congress and the administration finalize the rescue package. Members of Congress and their staffs and Bush administration officials have been working furiously to hash out the details of the rescue package, which was first presented to Congress late Friday night. Senate Banking Committee Chairman Christopher Dodd, D-Conn., said staff from both parties continued their meetings on Monday. "We want to act but we also want to act responsibly," Dodd told reporters. But Sen. Richard Shelby, R-Ala., the top Republican on the banking panel, said he's concerned the Treasury plan isn't either "workable" or "comprehensive." Earlier Monday, President Bush warned Democrats not to load down the proposed rescue plan for the U.S. financial system with extra provisions, but Democratic leaders are insisting on some aid for homeowners and curbs on executive pay. "There will be differences over some details, and we will have to work through them," Bush said as congressional staff and administration officials restarted meetings on the bill. "That is an understandable part of the policy-making process. But it would not be understandable if members of Congress sought to use this emergency legislation to pass unrelated provisions, or to insist on provisions that would undermine the effectiveness of the plan." Members of Congress met with Bush administration officials all weekend to discuss details of the package, which aims to purge bad mortgage-related assets from the books of several financial institutions in a bid to address the root cause of the credit crisis. House and Senate lawmakers would need to agree on a common bill. Frank told reporters that he and Dodd are almost in agreement on what to add. Frank said that he hoped Congress could complete work on the plan in the next few days. A Treasury spokesman said Monday that Paulson is making calls to lawmakers, and that the department is "confident a bill can be done this week." The downturns in markets over the past week and the dramatic restructuring of Wall Street come as voters prepare for the Nov. 4 presidential election. On Monday, candidates John McCain and Barack Obama traded barbs over the rescue plan, with each accusing the other of failing to grasp what is needed to resolve the crisis. In separate action Monday, financial officials from the seven wealthy industrial nations agreed to take "whatever actions may be necessary" to ensure the stability of the international financial system. "We reaffirm our strong and shared commitment to protect the integrity of the international financial system and facilitate liquid, smooth functioning markets, which are essential for supporting the health of the world economy," the Group of Seven said in a joint statement. Late Sunday night, the U.S. Federal Reserve approved applications filed on Sunday from Goldman Sachs and Morgan Stanley to become bank holding companies, enabling them to take deposits, borrow permanently from the central bank, while putting them under supervision of the central bank. The move, the latest government step to restore calm to chaotic financial markets, puts the last two major U.S. investment banks squarely within the government safety net. If approved after a five-day waiting period, the transition could also make it easier for the banks to buy retail banks. To provide increased liquidity to the companies, the Fed agreed to lend to the firms' broker-dealer subsidiaries on the same terms as the Fed discount window for banks and the central bank's Primary Dealer Credit Facility lending window for investment banks. It said it was making the same collateral deals available to the broker-dealer subsidiary of Merrill Lynch. The move comes at the request of Goldman and Morgan, according to a source familiar with the application. Becoming bank holding companies gives the firms access to deposits, which are insured by the Federal Deposit Insurance Corp. While the firms had temporary access to the Primary Dealer Credit Facility, this move makes access to the discount window permanent. Recently, bank holding companies have not had the difficulties that investment banks have had in securing funds. At the same time, Goldman and Morgan will now have capital requirements. Quick questions - What does this do to the merger talks of Morgan Stanley and Wachovia? Does this make it easier for them to finalize a merger? The answer would seem to be yes. U.S. Bankruptcy Judge James Peck decided early Saturday that Lehman Brothers can sell its investment banking and trading businesses to Barclays, the first major step to wind down the nation's fourth-largest investment bank. Judge Peck issued his decision at the end of an eight-hour hearing that extended into the wee hours, capping a week of financial turmoil. Lehman Brothers filed the biggest bankruptcy in U.S. history Monday, after Barclays declined to buy the investment bank in its entirety. The British bank will take control of Lehman units that employ about 9,000 employees in the U.S.
Barclays took on a potential liability of $2.5 billion to be paid as severance, in case it decides not to keep certain Lehman employees beyond the guaranteed 90 days. But observers have said Barclays' main reason for acquiring Lehman is to get its people and presence in North America, making widespread layoffs less likely. "It's unimaginable to me that they can run the business without people," said Lehman's financial adviser, Barry Ridings, of Lazard Ltd. Since Lehman filed for bankruptcy, Barclays had been the only buyer to express interest in acquiring even parts of the 158-year-old investment bank. "The substance of this transaction is to continue a business for the benefit of the economy," Miller said in court. Barclays also said it would buy three additional units -- Lehman Brothers Canada Inc., Argentina-based Lehman Brothers Sudamerica SA and Lehman Brothers Uruguay SA. The two South American entities are part of Lehman's money management business. Barclays is not paying extra to get the three units. The Securities Investor Protection Corp. liquidated Lehman accounts Friday under a bankruptcy-style process to transfer assets from 639,000 Lehman customer accounts -- about 130,000 of which are owned by individual investors -- to Barclays accounts. In a statement Saturday, the SIPC, which maintains funds to protect investors' assets at failed brokerage firms, said Lehman customers "should have full access to their accounts in very short order." Friday night's hearing drew more than 200 lawyers and observers, who spilled into overflow rooms on two floors of the U.S. Bankruptcy Court in Lower Manhattan. "That occurred to me, as well," the judge said. "Lehman Brothers became a victim, in effect the only true icon to fall in the tsunami that has befallen the credit markets." When U.S. Treasury Secretary Henry Paulson walks in a room, I would guess that most people perk up and listen now. Two weekends ago, Paulson engineered the bailouts of Fannie Mae and Freddie Mac. He then went on to explain how he did not take the use of taxpayers' money lightly. Last weekend, he tried to push through a buyout of Lehman Brothers before that fell apart - because he would not use taxpayer money. This week, when the market seemed its bleakest on Wednesday night, Paulson together with Federal Reserve Chairman Ben Bernanke and SEC Chairman Christopher Cox, decided they had better get going. It all started Thursday morning, and the follow through continued on Friday with sweeping government measures to rescue the financial system and restore confidence in shaky markets. By the end of the week, Paulson and Bernanke had designed the most dramatic changes on Wall Street since the Great Depression. In another extraordinary action, the United States joined the United Kingdom in temporarily banning bets that financial stocks will fall (short sell), while the Federal Reserve said it will use $50 billion to back money-market mutual funds. Short sellers, who profit when stocks fall, have been blamed for contributing to the demise of Lehman Brothers and the steep declines in other financial stocks this year. The moves came at the end of an agonizing week for Wall Street, in which Lehman Brothers filed for bankruptcy, insurer AIG was bailed out by the government and Merrill Lynch merged with Bank of America. Investors had worried that the confluence of crises severely threatened the stability of the U.S. economy. The Dow closed up 368.75 points (3.35%). The S&P 500 advanced 48.57 points (4.03%). The NASDAQ shot up 74.80 points (3.40%). The benchmark S&P 500 index had its biggest two-day rally since October 21, 1987, two days after the 1987 stock market crash. Shares of Washington Mutual (WM) surged 42.1% to $4.25 after the Wall Street Journal reported that Citigroup was considering making a bid for the U.S. savings and loan. Citigroup shares leaped 22.7% to $20.65. Shares of Morgan Stanley, punished earlier this week as investors fretted about the outlook for the last two remaining U.S. investment banks, jumped 20.7% to $27.21. Shares of rival Goldman Sachs climbed 20.2% to $129.80. Morgan Stanley's talks with Wachovia Corp, China Investment Corp and other institutions continue, a person familiar with the matter said, though the rebound in its securities gives the investment bank more time to consider its options. Wachovia's stock surged 29.3% to $18.75. Trading was heavy on the New York Stock Exchange, with about 3 billion shares changing hands, far above last year's estimated daily average of roughly 1.9 billion, while on Nasdaq, about 3.8 billion shares traded, also trouncing last year's daily average of 2.17 billion. At the end of the highly volatile week when stocks moved by over 300 points on 4 out of 5 days for the first time ever, the market was essentially flat. It may be flat, but coming from where the market sat on Wednesday night, the move and sentiment change has been dramatic. Say what you want, Paulson and Bernanke are two men that are definitely trying to drive the market, economy, and complete financial system in the right direction. You probably won’t find it surprising to hear that Franklin D. Roosevelt’s famous quote came to my mind on Wednesday after a horrific day of stock market performance. I had always incorrectly assumed that this phrase was used when Roosevelt went before Congress in 1941 to declare our involvement in World War II. However, my research revealed that this well-known quote was actually part of his first inaugural address in 1933. These words mean even more to me now, since FDR was inducted into Presidency in the depth of the greatest depression ever in the United States. On Wednesday, there was true FEAR in the financial markets. At one point, some investors were actually purchasing Treasury bills with a negative rate of return and three-month Treasuries were selling at a premium. To put this in perspective, some investors were seemingly willing to say, “I will give you my hard-earned money if you promise to give most of it back in three months.” I suppose that sometimes fear just overtakes common sense! In the middle of Wednesday’s trading day, the interbank lending rate exploded out of control. The rate at which banks normally loan money to one another is 2%, but it had tripled to 6%. Banks began hording money and refusing to loan it to each other, much less to the public. Even though these loans are ostensibly guaranteed by the Federal government, banks did not want to be caught without liquidity on Wednesday. There was another blatant attack on Wednesday on another financial institution by the people who short stocks for a living. When you short a stock, you sell a security that you do not own. You hope to be able to buy it for less than what you sold it for and make a profit – you’re basically betting that the stock is going down in value. There’s nothing illegal or wrong with this method; it’s truly a normal and required method of investing. However, when a group of individuals line-up and openly short a company out of business in concert, it’s definitely illegal and immoral. I can tell you without any degree of hesitation that this is exactly what happened to Fannie Mae, Freddie Mac, Bear Stearns, Lehman Brothers, AIG and now, Morgan Stanley and Goldman Sachs. It was interesting to note that Wednesday morning the Wall Street Journal had a lengthy opinion piece that was eerily similar to my blog on Tuesday (read it here). One of the most successful and financially sound life insurance companies in our history, AIG, was fundamentally destroyed by bad accounting and short-sellers. The sad part is that none of this had anything to do with AIG’s operations or the way they ran their business. As the Federal government liquidates this company, all Americans should be remorseful. This wonderful American institution will now be split up and put in the hands of principally foreign owners going forward. It’s true that the American employee base will remain the same, but the ownership will be foreign. When there’s this much market volatility, people aren’t investing; they’re just trying to survive. Irrational, emotion-driven actions take over and investment logic and intuitive knowledge are ignored. Wednesday was definitely one of those days! On Tuesday, we started taking money off the table to reduce the volatility in our portfolios. We have raised a significant amount of cash in the hopes that we can get it back to work for our clients once stability sets in. Hopefully that will be sooner rather than later, but it’s impractical to try to make investment decisions when the public is investing with its heart and not its brain. As difficult as Wednesday was, I strongly believe that the cavalry is on its way. Rest assured that I’m the last person who would ever advocate any governmental intervention in the capitalistic system. However, I’m also a realist and understand that regulation is required. “Unbridled capitalism” is often defined as greed, and that’s what has set in on Wall Street. It was time for the regulators to come down from their ivory tower to end the abuses. Putting companies out of business just because you can isn’t capitalism, it’s greed! On Thursday morning, there was a worldwide, coordinated injection of capital into the financial markets. One hundred and eight billion dollars hit the money markets of the world simultaneously before the European markets opened up along with another $50 billion when the U.S. market opened. Furthermore, new “naked” short-selling rules went into effect at 12:01 a.m., and large hedge funds are now required to report their short positions on a daily basis. The SEC also issued 50 subpoenas on Wednesday seeking clarification of naked short-selling by hedge funds. You can bet that investors with massive short positions today are looking over their shoulders for Big Brother! The actions of the Federal Reserve and the Department of Treasury have been spectacular. They’ve broken every rule of stately governmental finance and their actions have prevented a complete financial meltdown in the wake of the attack by the coordinated short-selling against our financial institutions. They should, in fact, be complimented for a job well done. With the regulators now doing what needs to be done, maybe we can begin focusing on investing rather than on speculation. The financial institutions of this country aren’t in as bad of financial shape as their stock prices would lead you to believe. There will soon be a day where bargain hunting will be the talk of the financial world. At that time, we need to be significantly invested to participate and recover some of our lost ground. As I correctly predicted, Congress has now been back at work for two weeks and have passed no energy-saving legislation. As I further predicted, the House has approved an offshore drilling bill that they knew would never be debated. It’s a shame that the American public is being deceived by its own Congress and that we’re paying the price in higher fuel costs due to bad legislating. The sole purpose of the masquerade of proposing a bill that we know will not be approved is so one of the candidates running for President will not have to vote against a bill bitterly opposed by his financial backers. How can he say in the political arena that he supports offshore drilling while continuing to accept money from environmentalists? By not having to vote for offshore drilling, he satisfies the public and his benefactors – for the time being. Much of the blow-up surrounding Fannie Mae and Freddie Mac two weeks ago was due to governmental intervention. Senator Barney Frank basically used these two governmental agencies to buy the votes of the underprivileged. Many loans were made to people who had no right to receive them, but the agencies were mandated by Congress to complete the loans. Unfortunately, the blow-up of these institutions can only be blamed on government itself and not Wall Street. The entire country is now paying the price for that poor judgment exercised by Congress. There were 350 current members of Congress who received campaign money from these agencies. It’s depressing to me to hear the political rhetoric of both Presidential campaigns. Everyone is blaming everyone else for the upheaval in the financial arena. There’s no question that there’s plenty of blame spread around. In fact, two of the three financial advisors working for one of the candidates each received compensation in the $100 million range working for the two failed governmental agencies that both candidates so regularly criticize. Whether it’s based on politics, regulation or fear itself, my interest is in the accumulation of wealth for my clients. Today there are stock values represented on Wall Street at unprecedented low levels. A decade from now, we should not be in the position where we are looking back at these prices and wondering why we did not purchase more. There will soon be a day when rational investing overtakes the fear we are currently seeing, and you can rest assured that our clients will be participating when that finally happens. Atlanta, Georgia (September 17, 2008) – On Friday, Sept. 19, hot Georgia asphalt will sprout green grass for a day in order to celebrate and promote the need for more parks and green space in the city. 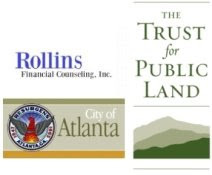 In a local effort synchronized with a one-day national event to transform parking spaces into “public parks” spearheaded by the Trust for Public Land (TPL), the City of Atlanta Office of Sustainability and the Department of Parks, Recreation and Cultural Affairs will collaborate with Rollins Financial Counseling, Inc., Park Pride and The Home Depot Foundation to raise awareness and support the need for more parks. Other groups around the City will be creating similar sites to illustrate the effort. 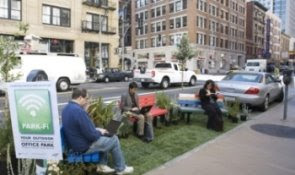 National Park(ing) Day – celebrated in more than seventy cities across the US – is sponsored by The Trust for Public Land (TPL), a national, nonprofit, land conservation organization that is dedicated to conserving usable land in cities for parks, playgrounds, gardens and green space so that city living isn’t just convenient but lovely. Downtown: The City of Atlanta will host a site in front of City Hall called “HOME GROWN,” featuring local produce, art and music from 11 am until 2 pm. The outdoor, family friendly park will showcase music from Atlanta’s own singer-songwriter, Heather Luttrell and her father, Ralph Luttrell, art by local artist, Gloria Patino, and produce from Truly Living Well Natural Urban Farms’ leader, K. Rashid Nuri. Atlanta has been known as, “The Gateway To The South,” and with our current leadership and visionaries, we are planting the seeds to grow a New Green South. With Atlanta’s help, more than 400 temporary parks will be created on Friday in public parking spaces across the country. Photos from last year’s event and ideas for creating your own public park, as well as a full list of cities with maps and details are available online at tpl.org/parkingday. For more information on the day’s events or to learn how to get involved, please contact Karen Clarke at karen.clarke@tpl.org, Mandy Schmitt at mschmitt@atlantaga.gov or Jennie Damiani at jennie_damiani@hotmail.com. The Trust for Public Land (TPL) is a national, nonprofit, land conservation organization that conserves land for people to enjoy as parks, community gardens, historic sites, rural lands, and other natural places, ensuring livable communities for generations to come. Since 1972, TPL has protected more than two million acres nationwide. TPL depends on the support of individuals, corporations, and foundations. For more information, visit TPL on the Web at www.tpl.org. For information about TPL in Georgia, contact Karen Clarke, karen.clarke@tpl.org, (404) 873-7306 ext. 225. About Rollins Financial Counseling, Inc.
Rollins Financial Counseling, Inc. believes that financial health is only part of a wholly healthy family and community, and is pleased to be participating in an event that promotes beauty in the cities of America. 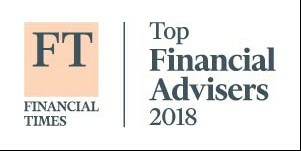 Rollins Financial Counseling, Inc. is an SEC registered investment advisory firm that was established in Atlanta, Georgia in 1990. Rollins Financial offers independent investment management services for individuals, small businesses and corporations. Rollins Financial currently manages assets in excess of $175 million, employing various investment strategies depending on the specific objectives of each client. As independent advisors, Rollins Financial is able to provide the most objective advice as they receive no compensation from any third party entities. For information about Rollins Financial Counseling, Inc., contact Cassie Elder, celder@rollinsfinancial.com – 404-892-7967. On Wednesday, all three major indices fell more than 4% a day after AIG was given an $85 million loan (12% interest rate) in exchange for an 80% equity stake by the Federal Reserve. It did allow the management of AIG to be removed and a new CEO Edward Liddy, the retired Allstate Corp. CEO, to be named. Liddy, 62, will succeed Robert Willumstad, who is leaving after the government took control of the troubled insurer. Liddy's experience at some major Chicago-area corporations undergoing restructurings is expected to serve him well as he oversees a company struggling with billions of dollars in subprime-mortgage write-downs. New York-based AIG, with $1 trillion in assets, lost $18 billion in recent quarters. Cramer on Wednesday night gave one of his better pep talks explaining some of the history he has seen since the early 80's. The huge moves of 1987, 1990, and 1998. He put it in perspective by saying that the market is trading on fear. "The only thing we have to fear is fear itself," said FDR, and investors seem to be fearful. Cramer continued by stating that he wanted everyone to understand that the companies he bought during the crash of 1987 made him money six months later. It might be early, but the good stocks are out there. In the end, Cramer stated that the loan to AIG has made things better than they were on Tuesday even after the market drop. It would be the beginning of putting some faith back into the financial sector that banks around the world would be better. Also, in the wake of today's panicked selling, a rash of possible mergers hit the wires after the close. In Britain, Lloyds TSB struck a deal to buy major mortgage lender HBOS for 12 billion pounds in stock ($22 billion), a source familiar with the situation said. Washington Mutual, beleaguered by mortgage losses, put itself up for sale, sources familiar with the situation said with potential suitors being Citigroup, JPMorgan, Wells Fargo and HSBC. Morgan Stanley was discussing a merger with regional banking powerhouse Wachovia. Morgan Stanley released their earnings a day early and beat expectations, but the market did not listen. Instead the stock fell 27% on more fears of credit issues. Likewise, Goldman reported earnings that beat, but their stock was also punished 16%. "It's very clear to me -- we're in the midst of a market controlled by fear and rumors, and short sellers are driving our stock down," Morgan Stanley Chief Executive John Mack told employees in a memo obtained by Reuters. "There is no rational basis for the movements in our stock or credit default spreads." On Thursday morning, the futures look to be trading up substantially on three indices prior to the open. New rules governing the conduct of people who profit from stock declines were issued by the U.S. Securities and Exchange on Wednesday as shares of major financial institutions plummeted on fears of a global credit crunch. The three SEC rules cover shares of all publicly traded companies and follow a brief emergency rule this summer that was aimed at curbing abusive naked short selling in 19 major financial stocks. Under a measure that takes effect Thursday, short sellers and their broker dealers must deliver securities by the close of business on the settlement date, three days after the sale. More and more people are also asking the SEC to reinstate the "uptick" rule, but there has been no change on that issue. The Perfect Financial Storm... "This, too, shall pass"
Monday will certainly be called a historic day in the history of stock market investing, and I couldn’t help but be reminded of that fateful day in October of 1987 when the Greenspan-inspired stock market crash occurred. On Monday, October 19, 1987, the Dow opened at 2,247 and by the end of the day, the market had fallen 22% to 1,739. It was a “Black Monday” indeed! Proclamations ensued that we should anticipate financial catastrophes and that another depression would soon sweep America. Sound familiar? Today, even after the large market correction, the Dow is trading at the 10,900 level, which means that the market has gone up over 650% since the stock market crash of 1987. A long-term chart of the Dow Jones Industrial Average from 1950 through today reflects that the blip in 1987 hardly breaks the upward trend line. Putting everything into perspective certainly helps in understanding long-term investing. Over this past weekend, I watched the demise of Lehman Brothers unfold. Even though there were certainly more important topics to discuss on this beautiful summer weekend, the only subject that seemed to gain any media attention was whether Lehman Brothers would be allowed to survive. From a true financial standpoint, Lehman Brothers was nowhere close to bankruptcy. In fact, they had billions of dollars of very valuable assets. However, there was such a dramatic loss of confidence in Lehman Brothers that they were left with no liquidity to service their debts. And so, Lehman’s failure became self-fulfilling in that the more people talked about their negative financial situation, the more customers refused to work with them. It didn’t make any difference that Lehman Brothers had billions and billions of dollars of assets; without cash flow, they were effectively out of business. Waking up on Monday morning, it was already apparent that the world was going to suffer a major meltdown from stock prices. However, I couldn’t help but be drawn to the fact that oil was trading down $6 a barrel to the mid-$90 range. The fact that the price of oil has gone from a high of $148 to a current price of $95 seemed to be much more materially important to most Americans. However, all the financial news concentrated on was the potential liquidation and bankruptcy of one relatively minor brokerage house in New York City. The price of oil affects all Americans not only when we fill up our gas tanks but also because virtually every product has a price component that’s directly attributable to petroleum. The fact that oil is down 36% should give all Americans a large financial bonus in the coming months. With the nationalization of Fannie Mae and Freddie Mac last Monday, long-term interest rates fell dramatically. Currently, 30-year Treasury rates on home mortgages are below 6%. The positive coupling of lower petroleum prices and the reduced cost of mortgages ought to energize the economy in the upcoming quarter. In spite of that forecast, the media only reported the failure of this one brokerage house. At Monday’s closing bell, the Dow had sold off over 500 points, but on a percentage basis, this is only 4.5% and is certainly nothing close to the 1987’s “Black Monday” loss of 22%. In any event, the psychological effect as a result of the headlines was just as damaging. Throughout the entire world, starting in the Asian markets on Tuesday, each market sold-off at substantially the same percentage, meaning that in the course of 24 hours, roughly $10 trillion of personal wealth evaporated worldwide as a result of a company that had a market capitalization of less than $5 billion. As a percentage, Lehman Brothers represented less than .016% of the loss in net worth the world suffered. Come on, folks – let’s get a grip!! Don’t misinterpret what I’m saying – I realize that a lot of money was lost Monday and that’s it’s never easy to watch your investments go down, but Monday’s sell-off, unlike 1987’s crash, had no justifiable cause. In 1987, stocks were richly valued and had gone up consistently for almost five years in a row. The Fed had already started increasing interest rates and had dramatically slowed the growth in money supply, so there was a reason for 1987’s market correction. What we endured Monday is completely different: The Fed has cut interest rates dramatically and injected literally billions of dollars into the economy to ease the liquidity crises. Countries around the world injected capital into their money supply on Tuesday morning to reinforce liquidity and to assure that banks could safely operate. Our Federal Reserve has moved quickly and brilliantly to strengthen the financial operations of banks in the United States. Stocks are now selling at absolutely unheard of low levels in my investing lifetime; wonderful companies are selling at fractions of their implicit value over the last decade. There was simply no reason for this past Monday’s market correction. When investors lose confidence, they also lose the ability to properly evaluate market circumstances. I’ve always found it strange that when consumer goods are on sale, people flock to purchase them; but when stocks are on sale, everyone seems to run in the opposite direction. With stocks prices at such low levels right now, it’s hard to understand why more investors aren’t taking advantage of this opportunity. The reason Monday’s sell-off started in New York is not necessarily because investors feared that Lehman Brothers would fail. Rather, many surmised that it would be the first domino to topple with many others falling afterwards. While it’s true that the Federal Reserve assisted in the recent Bear Stearns buy-out, it was also clear that the Fed had no intention of bailing out Lehman Brothers. Last week, the government nationalized Fannie Mae and Freddie Mac and provided liquidity to the mortgage sector in America. It’s obvious that the government would prefer for all businesses to resolve their financial issues without its intervention, but it’s also just as obvious that the government intends to disallow significantly influential companies to affect the U.S. economy. If you’re an avid reader of my posts, you probably recall that I’ve written before about the problems associated with the accounting methods that are now required in the United States for valuing various assets of corporations. Considering the turbulent market over the last few days, it’s time for me to revisit this topic. After Enron blew-up in 2001, the accounting profession decided to rewrite the rules regarding valuing of assets. Up until that time, assets were recorded on the books of companies at their historic cost. Since that meant that the assets would never change value as long as they were owned, it afforded many businesses the opportunity to have assets recorded on their books that were worth significantly less. To solve this problem, the accounting profession required that corporations revalue their assets essentially at market value. For major corporations, revaluing their assets at market value essentially means that they write-down the value of their assets to fair market value as of the balance sheet date. However, they never write them up if they happen to be worth more than the historic cost. This market valuation adjustment has been highly controversial, and as I’ll illustrate, it has also been very destructive to many U.S. corporations. Inarguably, if an asset can’t be properly valued, it should be written down to its estimated fair market value. Requiring corporations to start valuing their assets on a fair market value basis was an attempt to get the balance sheets of those corporations on an essentially liquidation basis. The problem with this scenario, however, is that it creates enormous fluctuations in the capital structure of entities. Using your own family budget as an example, assume that you own a nice house in a nice neighborhood somewhere in the United States in today’s slow real estate market. If you had to sell that house and create cash within the next 48 hours, what do you think you could get for it? What’s realistic – 90%, 80% or even 50% of its value in a forced sale situation? Further, assume that you have no debt on that house, nor do you want to sell it – your preference is to live comfortably in your paid-for house the rest of your life. That’s essentially what is happening with valuations in these failing brokerage houses on Wall Street. They’ve purchased long-term investments with the full intention of holding them to maturity. Their intention wasn’t to trade these items, but rather, to enjoy the appreciation and cash flow that’s generated from these investments. However, because of the accounting rules, they’re now suffering severe losses on these investments since there is no market for them. While some people argue that these companies should be valued on a fair market value basis, what if there isn’t a market for the investment? Coupled with the fact that the investments are illiquid and there is no current market for them, valuations – even at 50% – are considered to be aggressive. Even though the investments are performing as structured and the corporations continue to receive cash flow from them, they’re taking a hit in their capital because of these investments. The effect, unfortunately, is that the capital of these companies erodes with write-downs in values, requiring them to seek outside capital. As investors in the common stock of these companies, we suffer the losses along with those companies. Lehman Brothers certainly wasn’t required to declare bankruptcy due to its operations; the reason it had to declare bankruptcy related more to the loss of confidence that other brokerage houses and banks had with Lehman Brothers. By virtue of writing down Lehman’s investment assets to very low levels, their capital was eroded and their ability to borrow money was impaired. Lehman Brothers was put out of business when they should have been allowed to continue. I’m not suggesting that the government should have intervened and bailed out Lehman Brothers; I’m simply suggesting that common sense should be exercised and proper valuations of investments should be taken into account. You might think that I’m an island unto myself in making these radical suggestions regarding changing U.S. accounting methods. However, the SEC has also recognized this to be a problem and has recommended that U.S. companies adopt European accounting methods for valuing company assets. Under common European accounting methods, such large write-downs in long-term assets just do not occur. On Tuesday, the Federal Reserve elected to leave the Federal Funds Rate unchanged. This clearly illustrates that the Fed believes the economy to be functioning normally. You may rest assured that if the Fed was concerned about the economy dipping into a deep recession, they would have moved to reduce interest rates. Only two weeks ago we received notification that the second quarter 2008 GDP rate increased by 3.1%. Here were are only a few weeks later and many are forecasting the economy to turn into a prolonged, nasty depression. The reality is probably somewhere in between; while the economy certainly can’t be defined as strong at the current time, it’s still chugging along on an okay basis. I encourage you to take days that are as dramatic as this past Monday with a grain of salt. These types of days reflect that traders on Wall Street are attempting to move the market to their own advantage. If you’re a long-term investor and you don’t need your invested capital for years down the road, then you should completely ignore these difficult days. As has been proven in many studies, stock market investing is the most profitable form of investing over the long-term. While variations and extreme days can occur, over the long-term, investing in the market is most rewarding. I hope you realize that we’re watching your accounts closely and that we’ll take all necessary actions we believe are in your best interests. As it pertains to long-term trends, this past Monday means nothing. Hedge Funds to Blame for the Market's Fall?